Paying a fair price is always important, but if you really want to get the cheapest new car you need to look beyond the drive out price. 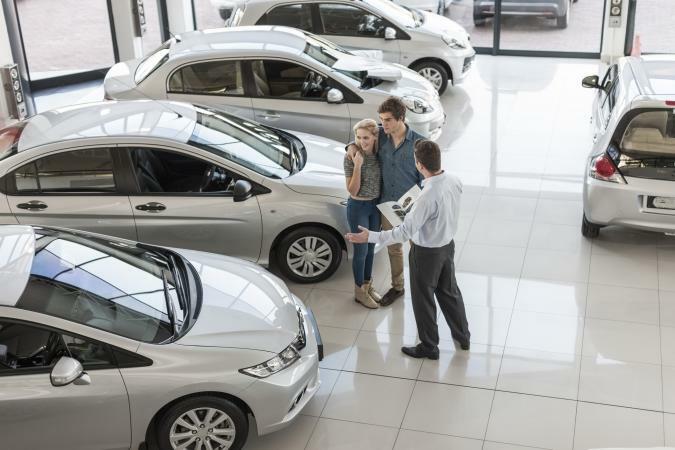 You have to consider the cost to own, which means depreciation, expected fuel costs, finance and insurance fees, maintenance and repair costs, and state fees. The new cars listed below are the best for the money. The Honda Fit is proof that you don't have to spend a lot to get a lot. It has a roomy and versatile interior, good cargo space, good fuel economy, and an impressive list of available tech and safety features. The Fit doesn't have the lowest starting price in its class, but this is a case in which spending a bit more upfront makes for a better overall deal. Bankrate.com says that Honda Fit has the lowest ownership costs in its class. The Kia Soul is a small car with a boxy, upright profile. Its standout exterior means there's plenty of room on the interior. The Soul is one of the few small cars that allows passengers to ride comfortably in the back seat. Soul also has a fantastic 10-year/100,000-mile powertrain warranty, a record of reliability, and strong resale value. Reviewers on Cars.com give it a 4.9 out of 5 stars, saying it's economical and fuel-efficient., and it was named the Best Compact Car for the money for the second year in a row. The Honda HR-V remains a top choice in the subcompact SUV class. It stays on top with its above-average reliability rating, which helps keep ownership costs low. The HR-V has solid build quality, and while there are sportier or more rugged options in the class, none of them can match the HR-V when it comes to giving you a total package of practicality, value, and quality. Hondanews.com reports that the HR-V has been named the best car for the money for three years straight, and New York Daily News names it among the ten most affordable options because of its features and fuel economy. The Honda CR-V is a practical family hauler. It has a roomy and practical cabin, is easy to maneuver, a good price for the compact class, and has low ownership costs. Car and Driver gave it their Editor's Choice award for its reliability and versatility, and US News and World Reports named the CR-V as one of the Best Compact SUV's for the money, saying it's an outstanding combination of quality and value. If you're on the hunt for a value-packed midsize SUV with extra seating, the Kia Sorento is your best choice. It has a low starting price, a healthy list of features, excellent fuel economy, and low ownership costs. For the second consecutive year, the Sorento has been awarded the best 3-row SUV for the money. The Hyundai Sonata is a refined, affordable, and high-tech midsize sedan. Its base model is well-equipped with above class features like Android Auto and Apple CarPlay, a 7-inch touchscreen and Bluetooth, and options such as wireless smartphone charging, navigation, satellite radio, Blue Link telecommunications, and a rear USB port. Kelly Blue Book (KBB) says the Sonata is the winner in its category of five-year cost to own. Plus, all Hyundai cars come with a three-day money back guarantee. You can't beat a large sedan for a smooth and comfortable ride, and the Toyota Avalon is one of the best large sedans for the money. Its standard V6 engine has outstanding fuel economy for a large car, which keeps running costs low. It has an excellent reliability rating, so repairs should be few and far between. Where the Avalon really has value is in its drive out price/ownership cost ratio. If you have a large family and will be hauling kids around the Honda Odyssey is both driver and kid-friendly. It has a peppy six-cylinder engine, handles better than other minivans, has flexible seating configurations and plenty of cargo space, along with available features like a Wi-Fi hotspot and a rear-seat entertainment system with a massive screen that the kids will love. KBB says it's long-lasting, reliable, and the best minivan money can buy. The Audi A3 is a small luxury car that has spritely performance and the kind of interior design and materials you'd expect from an Audi. But its base price makes it one of the more affordable ways to park a luxury car in your driveway. With its performance, prestige, as well as its excellent cost to own, you'll spend less to own an Audi A3 than any other vehicle in its class. If you're in the market for a low price combined with low cost of ownership, the Chevrolet Spark hatchback is one of the most inexpensive cars in America, and Kelly Blue Book reports it has the lowest projected ownership cost of any vehicle on the road. It may be economical, but it does have some high-tech and advanced driver features. The Chevy Spark will be a fantastic buy if you're in the market for a second car, something to drive around the city, or a car for the new young driver in the family.